When it comes to any big fandom movie in general, everyone seems to have an opinion, but with Star Wars, the “old school” fans can get even more contentious. And, since I remember seeing most of the original trilogy in the theaters, I guess that makes me old school, so I might as well throw my vocal/literary hat into the ring, eh? Solo: A Star Wars Story pulled in an estimated $101 Million for its opening weekend. While not a complete failure, it is well below initial estimates. Especially if you consider that that includes the Monday holiday. According to CNN , the film was originally expected to pull in between $130 and $150 Million, though that was lowered on the opening Friday to $105 to $115 Million. There’s plenty of speculation going around as to why the movie did not do as well as even its downgraded predictions estimated, ranging from Star Wars fatigue to it not being “original” or “doing anything new.” Not to mention that the current theatre competition is tough. I think, however, that the issue is a little more nuanced than that. I was wrong. Ehrenreich does a pretty good job of playing a young Solo and owned the role well enough. Woody Harrelson and Emilia Clarke both did really well in their roles too. 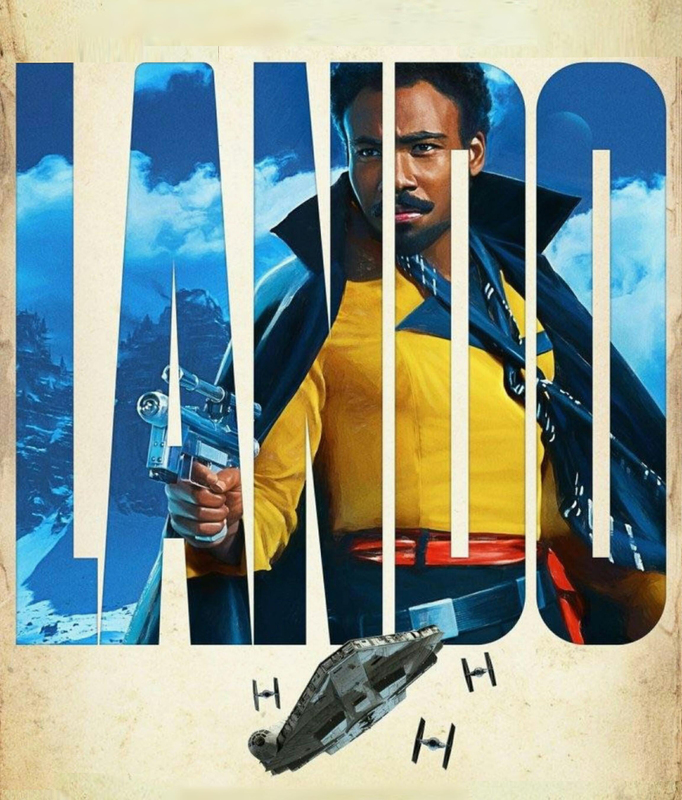 For me, though, Donald Glover’s Lando Calrissian and his droid L3-37 shined a bit brighter. The action was good too, showing off ILM’s fantastic effects. The story itself was pretty solid. Great pacing and plenty of tension. I do think some parts were predictable, but that wasn’t necessarily was a detriment. I mean, for that scene, I was rooting for Solo to make a specific decision, which he did. That reinforced my idea of his craftiness and ingenuity. Overall, I think Solo: A Star Wars Story is a really good movie with good acting, great visuals and a really fun story. But is it great? Eh…. not quite. Close but not quite. 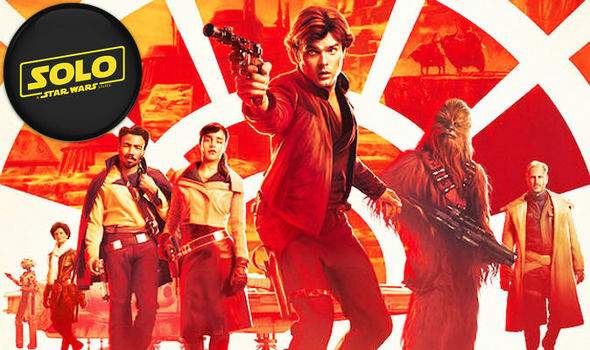 So, here’s where things get sticky: Why didn’t Solo do well in its opening weekend? First, I think that people have become so used to Star Wars movies being fantastic that anything less, anything that is really, really good, is just not good enough. It’s like Marvel. When Marvel put out Ant Man, it came in near the bottom of their projections for domestic opening weekend, at about $57 Million and is the Marvel Cinematic Universe’s second-lowest opening weekend (only the Incredible Hulk had a lower domestic opening gross). However, with Solo at $101, this hardly makes the scoundrel’s origin tale a flop. However, I think this goes more to the subpar reviews rather than a butts-in-the-seats problem. Second, Solo is not a missing piece of the main Star Wars story. Let’s look at the other Star Wars story flick, Rogue One, to see what I mean. Rogue One was also billed as a sideline story from the main Skywalker thread, but really it wasn’t. I mean, it did have a cameo with a CG Princess Leah and a few kickass Darth Vader scenes, so… More importantly, it was directly a part of the story leading right up to A New Hope. Solo did not do that. Solo was more like an origin prequel story. The ONLY thing that directly tied it to the rest of the initial trilogy was the mention of a certain desert planet. And even that is tenuous. This means that Solo was a story that we didn’t NEED. Part of Marvel’s success is that all of the movies in the MCU (Ant Man excluded) have come together to become a piece of the Thanos puzzle. Solo doesn’t really do that. It doesn’t FEEL like a Star Wars movie. There, I said it. It feels good to get that off my chest. It hurts, like ripping a band-aid off of my hairy arm, but it needed to be done. Hmm? What? You’re not sure what I mean by that? Well, it had the Empire and land speeders and hyperdrives and Chewbacca and a whole slew of Star Wars-y things, didn’t it? Sure. But it still didn’t feel like a Star Wars movie. Hyperspace is great, but it’s not THAT different from warp speed at its most basic level. Chewbacca is an alien and, in many respects, if he was replaced with some other large sidekick-ish alien, it would not change the movie very much. And our clip of the Empire is so small that it could also be easily replaced with a generic “empire” and not change the film. Now, remember… I really liked the movie and I am a huge Star Wars fan. I’m not hating on this movie at all. And yes, this is my own narrow point of view. However, for me, and I expect many people feel this way even if they don’t really consciously know it, The Force is Star Wars. It’s what separates Star Wars from the rest of Science Fiction. What this boils down to is connection. Yes, Han Solo is a fundamental part of Star Wars as we know it. But with a new actor (obviously necessary) and no presence of The Force, I think people are having trouble connecting to this film as a Star Wars movie. So listen up. If you haven’t seen it, don’t go see the new Star Wars movie. Don’t go to the theater and expect to be wowed with lightsabers and epic battles and mythical science fantasy. Don’t do that. Instead, go and experience Solo: A Star Wars Story for what it really is, a really, really good science fiction action adventure flick. I promise; it’s worth the $12.50.